Staking a claim in the SharePoint galaxy. 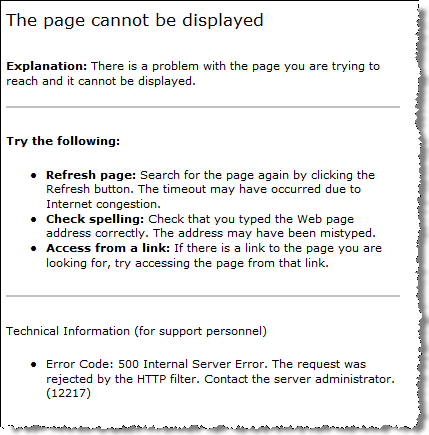 Similar to the other error we discovered with publishing a SharePoint site through SharePoint, the people picker complained about the HTTP filter in TMG. 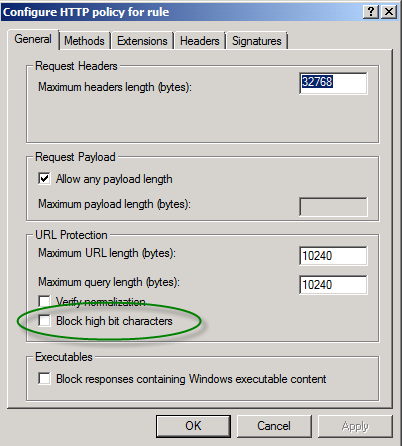 in the HTTP policy for the firewall rule for your web application, uncheck the value “Block high bit characters.” This will fix the problem. Trying the same actions on any other list/library worked fine; just not for a document library. 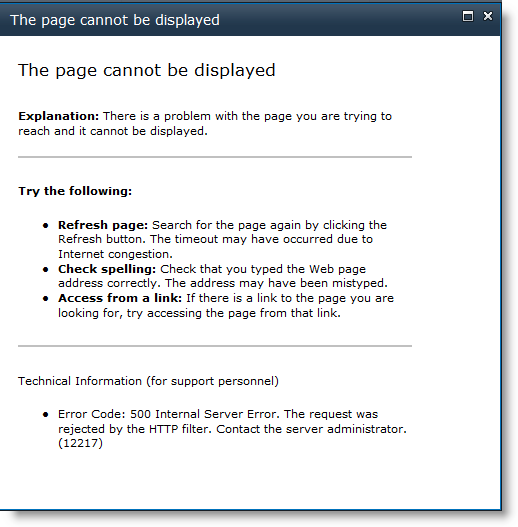 The problem turned out to be related to HTTP filtering in TMG. To fix the issue, Open the properties of the firewall policy. 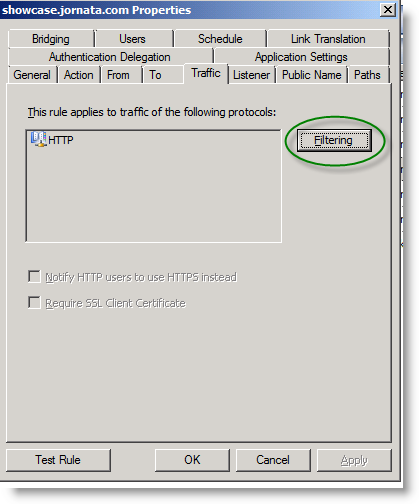 Click Filtering > Configure HTTP under the Traffic tab. Save and apply changes and you should be all set. 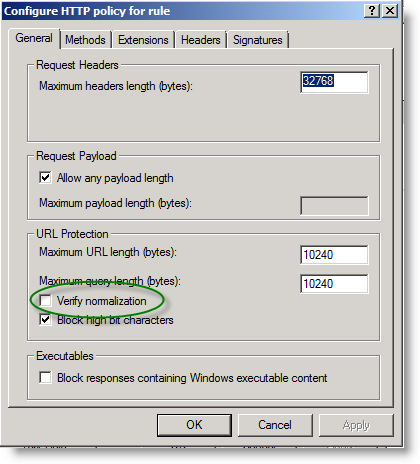 Verify normalization will block URLs containing escaped characters after normalization.